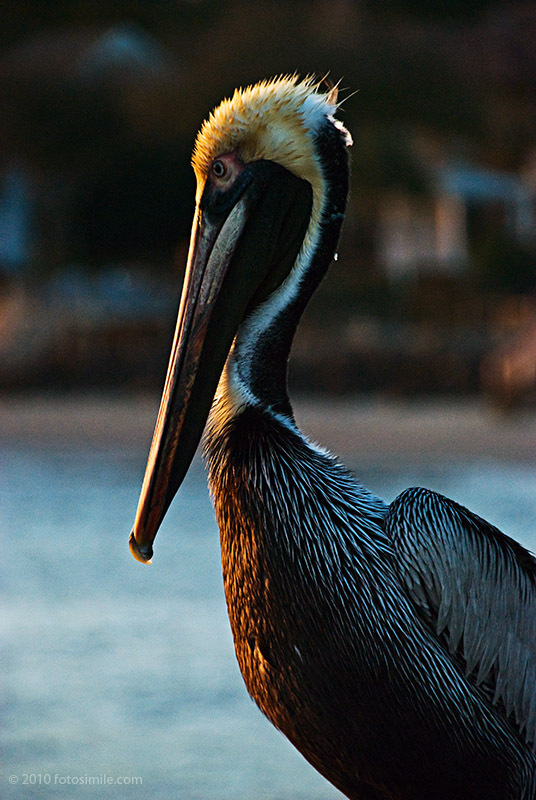 Yes, this pelican's name is George, as I was informed by the twin girls bouncing around on the end of the St. Simons Island pier where he was perched. Apparently this was his spot on the pier and he was comfortable with all the sunset activity going on around him, including strolling lovers, men fishing and two active, sociable girls. I don't believe I've ever gotten so close to a pelican before. He was huge.